The 34th America's Cup officially kicks off in San Francisco, California, this week with the opening ceremony taking place July 4. 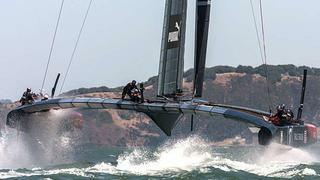 A ribbon-cutting ceremony will open the new America's Cup Park at Piers 27/29 on San Francisco Bay to the public. The site includes a pavilion with 9,000-seat stadium, which will host the opening ceremony featuring the four remaining America's Cup teams - Defender Oracle Team USA and Challengers Artemis Racing, Emirates Team New Zealand and Luna Rossa Challenge - and cultural performances from each of the countries, the USA, Sweden, New Zealand and Italy. The evening will culminate with a Fourth of July fireworks display. On July 5, a fleet parade will take off from Pier 14 and head to the America's Cup Park, after which the AC72 yachts will participate in time trials on the America's Cup course. All of this is a preamble to the start of Louis Vuitton Cup, America's Cup Challenger Series, which begins on July 7 and is scheduled through September 1. The 30th Louis Vuitton Cup will determine which Challenger team will race the Defender in the America's Cup Finals. The Louis Vuitton Cup can be quite telling - in the last 30 years, the winner has gone on to claim the America's Cup seven times. Brand new to the America's Cup this year and primed to make its own history is the America's Cup Superyacht Regatta, organised by Boat International Media in collaboration with the America's Cup organisers. The AC Superyacht Regatta will comprise three days of superyacht racing action taking place on and around San Francisco Bay during the lay days of the America's Cup on September 9, 11 and 13. Sailing superyachts that book a berth to attend and watch the America's Cup can enter the Superyacht Regatta at no additional charge - other yachts may participate as well for a fee. Among the entries for the Superyacht Regatta are the 55m Vitters-built ketch Adele and the Pendennis-built 55.5m schooner Adela, which should make for some interesting competition. Motor superyachts are not left out of the fun - they will be able to watch both the America's Cup and the AC Superyacht Regatta racing action from course-side moorings. And all superyacht owners and their guests will enjoy a first-class social progamme including a welcome party held at an exclusive private residence in San Francisco, a Michelin-starred dinner for yacht owners in Napa Valley hosted by the Far Niente winery and a end of regatta party at the St Francis Yacht Club.